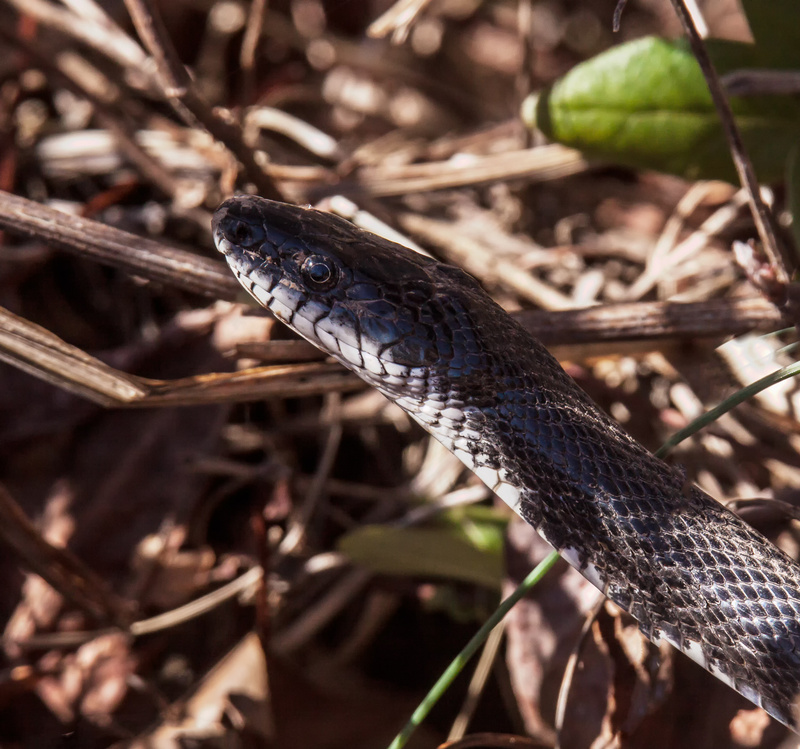 Yesterday was sunny, but not particularly warm—about 48 degrees F (9 degrees C)—so I was shocked when I encountered a snake. 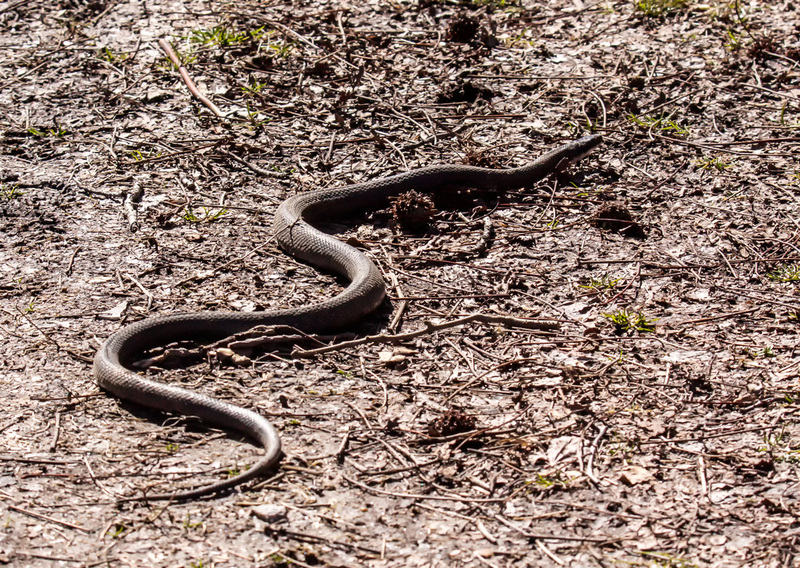 My eyes were pointed upwards as I scanned the trees for birds, but a slight movement just in front of my feet caught my attention and when I looked downward, I saw the sinuous curves of a snake (as shown in the second image below). 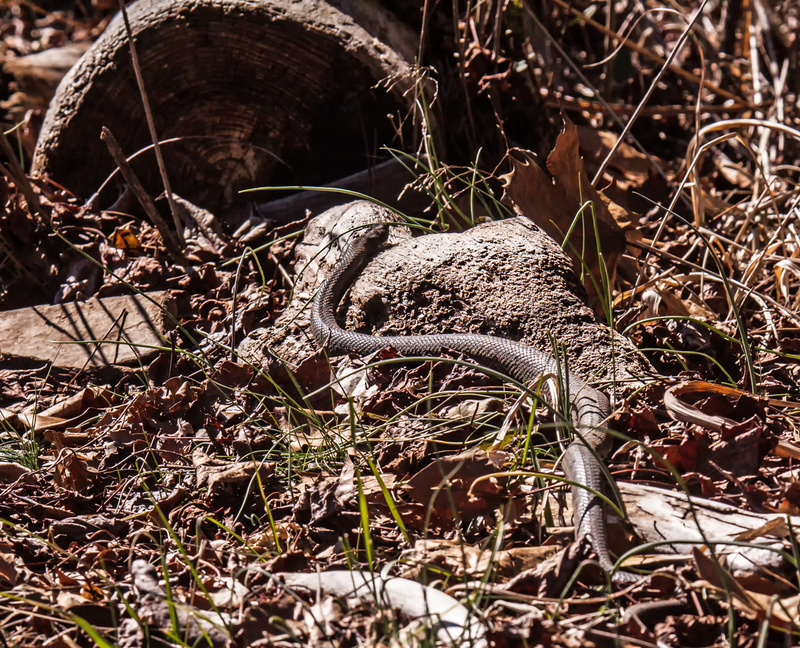 The snake, which I think may be an Eastern Ratsnake (Pantherophis alleghaniensis), moved to the side of the path and into the brush. 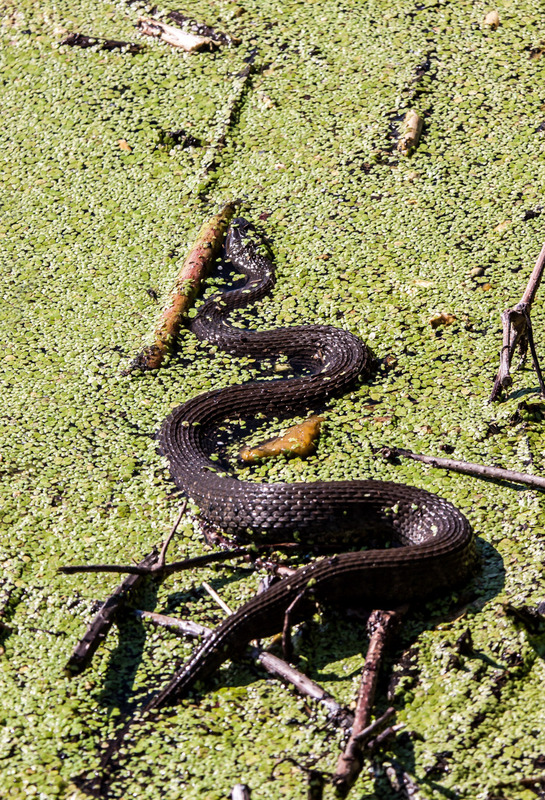 It stopped moving long enough, however, for me to capture the close-up image image below. 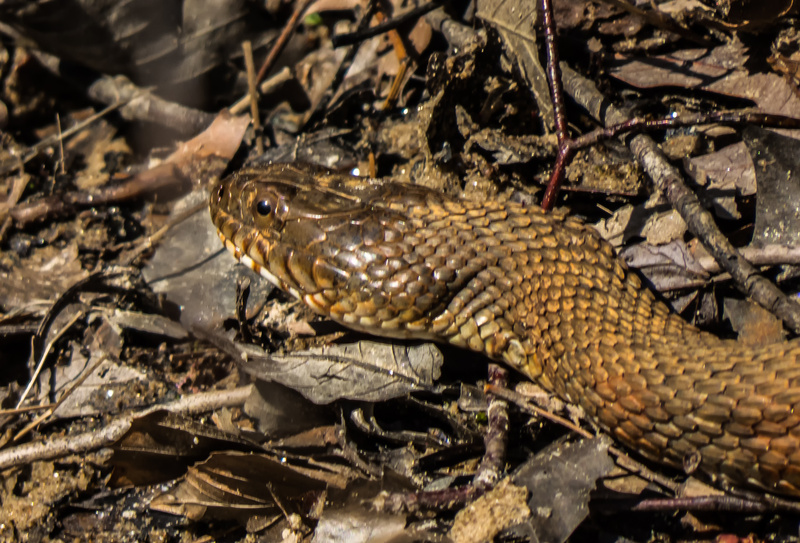 I know that some folks will find the image to be creepy or even frightening, but I like the way that it shows some of the wonderful details of the snake’s markings and its body. 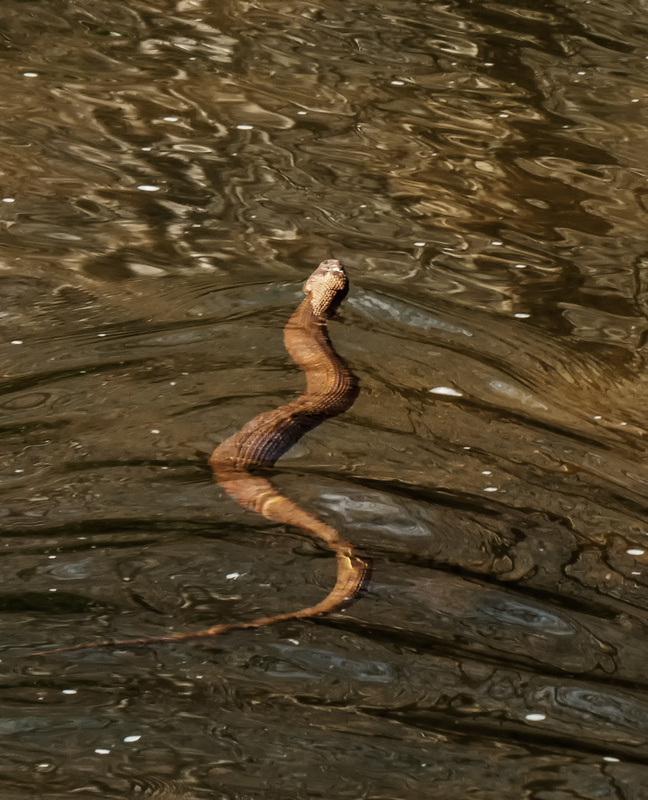 Although it may look like I was really close to the snake, I was actually a good distance away and was shooting with a long telephoto lens. The temperature today feels so frigid—right about the freezing level—that it is hard to remember that only this past Monday it was sunny and 60 degrees (16 degrees C). 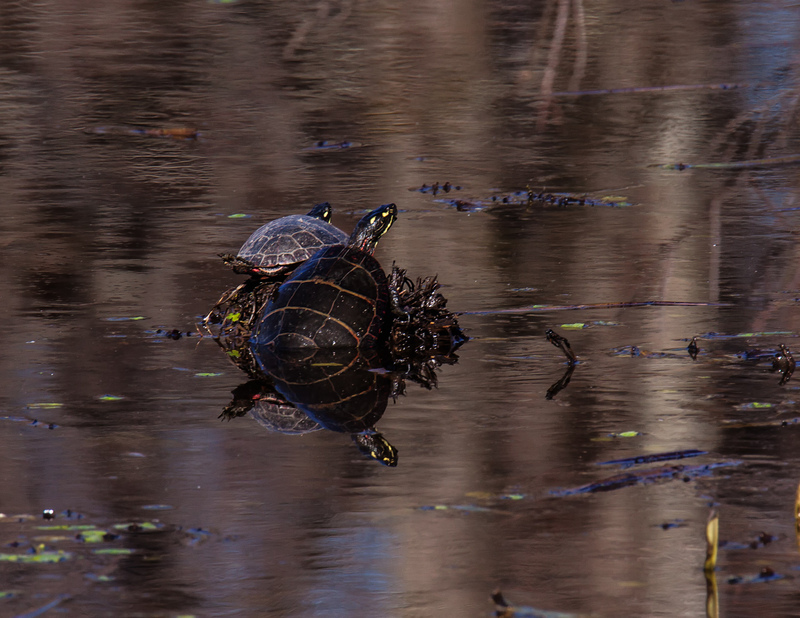 While I was enjoying the unseasonably warm weather and exploring Occoquan Bay National Wildlife Refuge, I photographed these sunning turtles, a relatively rare sight in December. 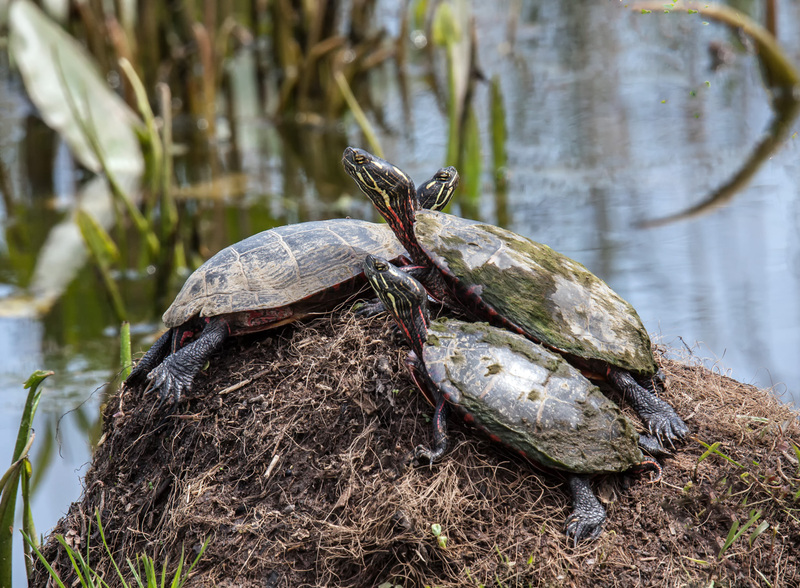 I did not get a good enough view of the turtles to be able to identify them with any confidence, but I think they may be Eastern Painted Turtles (Chrysemys picta picta) or possibly Red-eared Sliders (Trachemys scripta elegans). 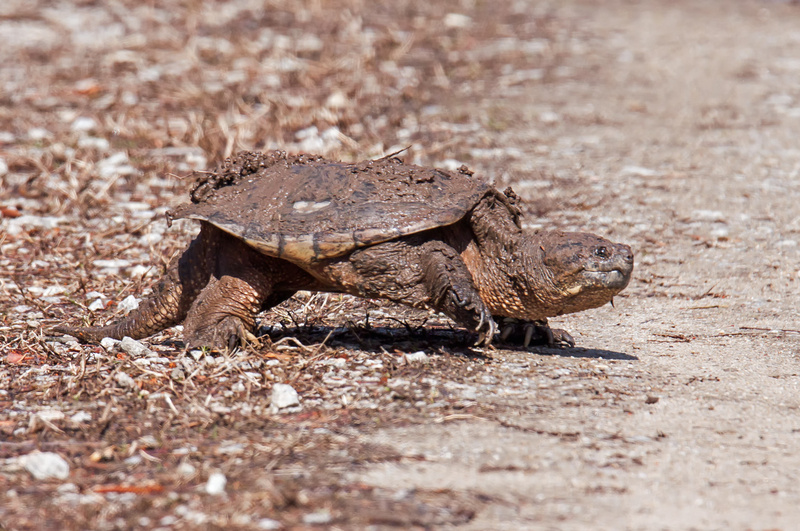 When I spotted this turtle from a distance earlier this week at Occoquan Bay National Wildlife Refuge, it was so elevated that I thought it was standing on a log or a rock. 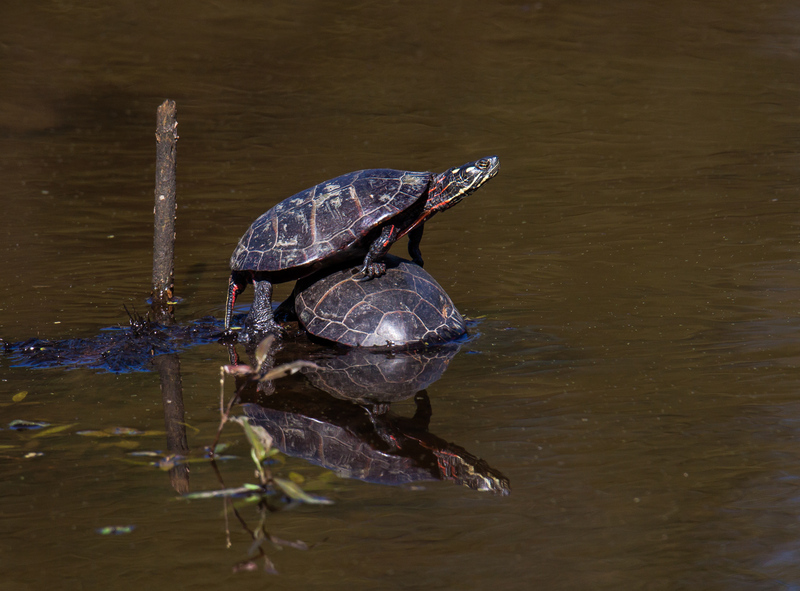 It was only when I zoomed in on this Eastern Painted Turtle (Chrysemys picta picta) that I realized that it was standing on the back of another turtle. Yikes! 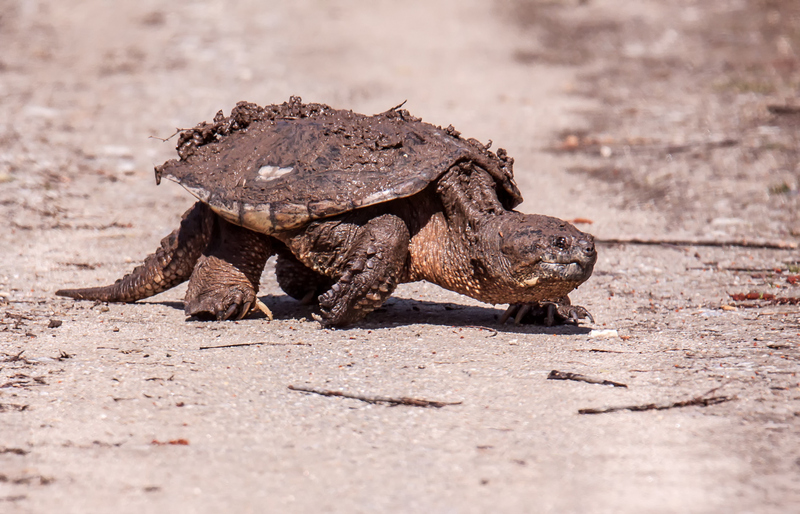 You have to be pretty old—probably about my age—if you remember the song whose name I used as the title for this blog posting. No, it was not sung by The Turtles.